Opening for another DJ can often be more challenging than headlining. An effective opening set can be the determining factor in whether a club night is successful, yet many club owners and promoters seem to overlook the importance of an opening DJ’s role. In most cases, a headliner never plays the entire night. 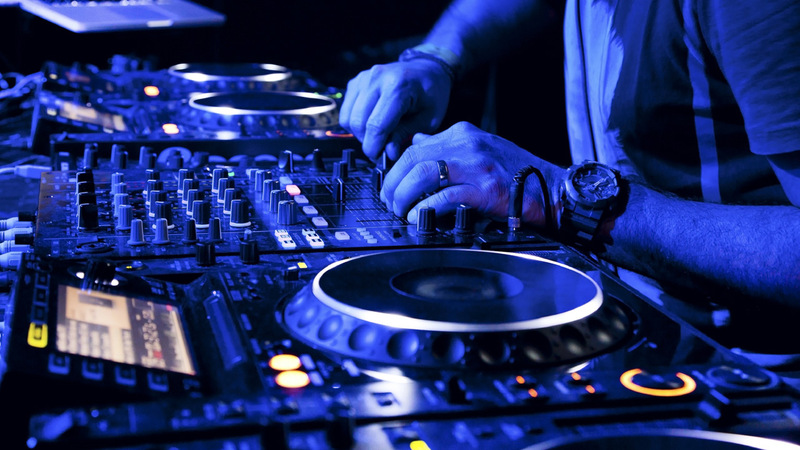 Many events feature one or more DJs opening up for the headlining act. As the opening DJ, you need to be aware of the progression of the night and always show restraint. The key is to build up the energy gradually so you can set up a smooth transition to the headliner’s set. This is why playing a proper warm-up set can be one of the most difficult tasks for a DJ.You have to push your ego to the side, and focus on playing a balanced set that creates the right mood for the headliner. Many young DJs make the mistake of playing tracks with too much energy, or they throw caution to the wind and start playing all the hits. This almost always disrupts the flow of the night, and ends up confusing the crowd, upsetting management, and frustrating the headliner. Your career will be a short one if you approach an opening set this way. Most of the time, you have to start with an empty room that slowly fills with people—and they’re usually sober. Pay close attention to how they react to what you play, and how each track in your set affects the mood of the room. This is your opportunity to play music you love and to learn to read a crowd. It’s best to think of it as a challenge; if it’s an hour before midnight and you can pull a group of sober people onto the dance floor, you’ll probably have no problem getting a group of drunken revelers to dance at 1:30 in the morning. Always research the headliner so you can tailor your set according to his or her style. If you’re opening for Kaskade, for example, you wouldn’t play the same tracks as you would opening for Skrillex. (And remember, you should never play any tracks produced by the headliner during your set.) The challenge is to get different crowds dancing while complementing the main act at the same time. Regardless of whether there are three or 300 people on the dance floor, you’re getting paid for a specific job. The club depends on you to create an atmosphere, keep the crowd entertained as the alcohol begins to flow, and fill up the dance floor slowly so that it’s full when the headliner begins. If you’re playing bangers at 11 o’clock for an empty dance floor, the headliner has nowhere to go but down. You may think you’re showcasing your skills to a club owner, but you’re really just showing your inexperience. Prove yourself as a strong opening DJ, and you’ll get booked again— maybe next time as a headliner. In the end, it’s wise to look at the opening set as a vehicle for developing your personal style as an artist. Successful club owners and event organizers have always recognized that a reliable opening DJ is vital for preparing the foundation of a great show.18 If you make it clear that you’re a music lover who’s prepared to play for any audience, you’ll be in demand for more gigs.